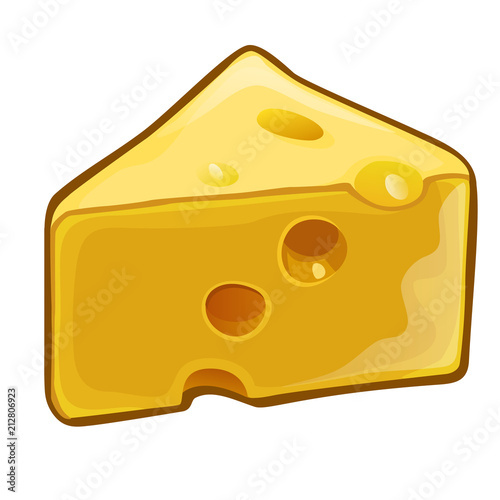 A piece of cheese with holes isolated on white background. Dairy product, attribute of healthy eating, fitness menu. Vector close-up cartoon illustration.